As the sun reaches its zenith, the triumphant cavalry return to the gated city. Dismounting within, their leader bows, presenting the Feline Grace Oriental Sword to her commander. The crowd cheers - their enemy has been defeated. The ornamental blade has been fullered, a process that lightens the overall weight without sacrificing strength. Sinuous feline figures are carved into the decorations on both sword and scabbard. The wrapped handle provides a comfortable grip. 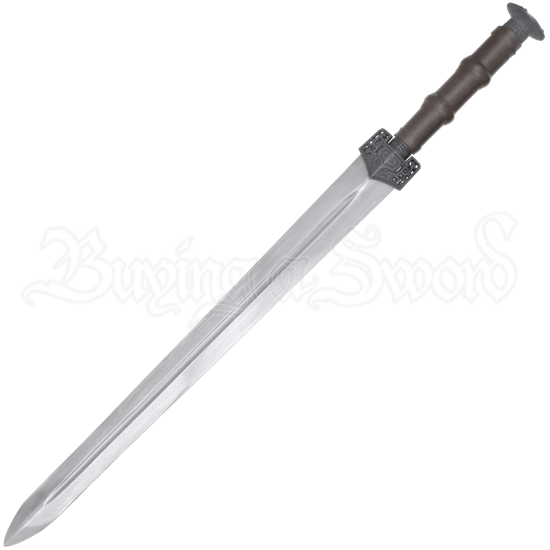 While made from quality steel, this echoes a warrior blade in design but would be more suited for a ceremonial sword of state.